For those of you who know knitting, we leave you a link to a page that explains step by step how to make your own knitted Jack Russell Terrier. Lately DIY (Do It Yourself) are highly in fashion and, of course, we can extrapolate it to Jack Russell world. It is a fun craft that allows you to, as indicate on the site, create your own Jack Russell: A big dog in a small body. Furthermore they show us that we can shorten or lengthen its legs so that most resembles our own JRT. You can follow the instructions in Knit your own Jack Russell. Para los manitas que sepáis hacer calceta, os dejamos un enlace a una página que explica paso por paso cómo hacer vuestro propio Jack Russell Terrier tejido. Últimamente están muy de moda los DIY (Hazlo tú mismo) y, cómo no, podemos extrapolarlo al mundo Jack Russell. 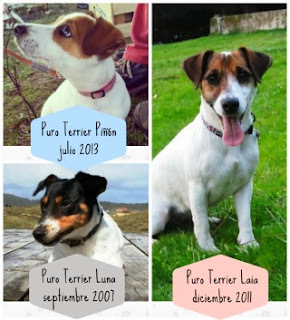 Es una entretenida manualidad que os permitirá, como bien indican en la web, crear vuestro propio Jack Russell: Un gran perro en un pequeño cuerpo. Además nos indican que podemos acortar o alargar las patas para que se asemeje más a nuestro propio JRT. 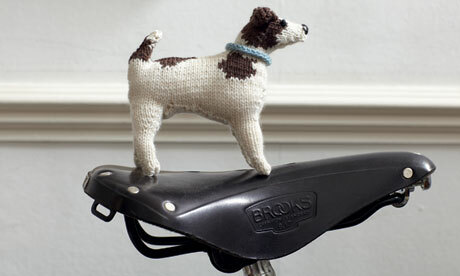 Podéis seguir las instrucciones en Knit your own Jack Russell.